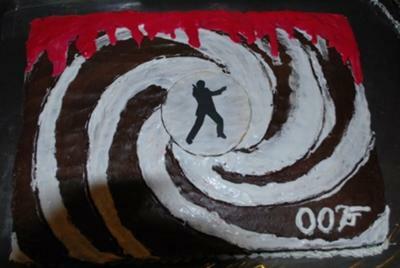 This James Bond cake is a Chocolate Syrup Sponge birthday cake for a James Bond themed party. It is soaked in a coffee syrup and layered with chocolate ganache. It is decorated with chocolate ganache thickened cream and marzipan. That is very cool also!